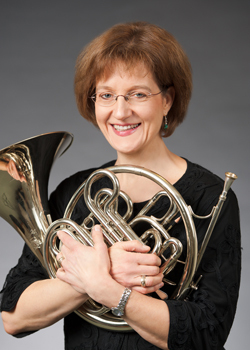 New Jersey Symphony Orchestra Second French Horn ANDREA MENOUSEK has been a member of the NJSO since 1991. She frequently performs with NJSO brass and woodwind quintets. 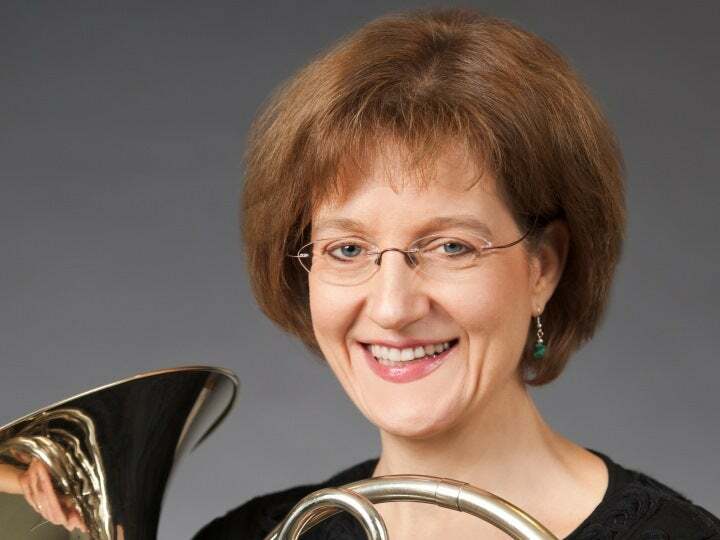 Since 1994, Menousek has also been a member of the Northeastern Pennsylvania Philharmonic, where she holds the Principal Horn position and has performed as a concerto soloist. The Northampton, Massachusetts, native began studying French horn at age 12. She received a Bachelor of Music degree from Boston University and Master of Music degrees from both the University of Massachusetts and The Juilliard School. While at Juilliard, she was Principal Horn of the Eastern Connecticut Symphony Orchestra. In 1992, Menousek won the Juilliard Concerto Competition for her performance of Strauss’ Concerto No. 1 in E-Flat Major and subsequently performed the work with the Juilliard Orchestra in Avery Fisher Hall at Lincoln Center. In addition to her work with the NJSO and Northeastern Pennsylvania Philharmonic, Menousek frequently performs with the Philadelphia Orchestra. She has also performed with the Arizona Opera Orchestra, American Symphony Orchestra and International Mozart Festival in Oklahoma. She has received French horn fellowships from the Tanglewood Music Center, Spoleto Festival Orchestra and National Orchestra Institute.